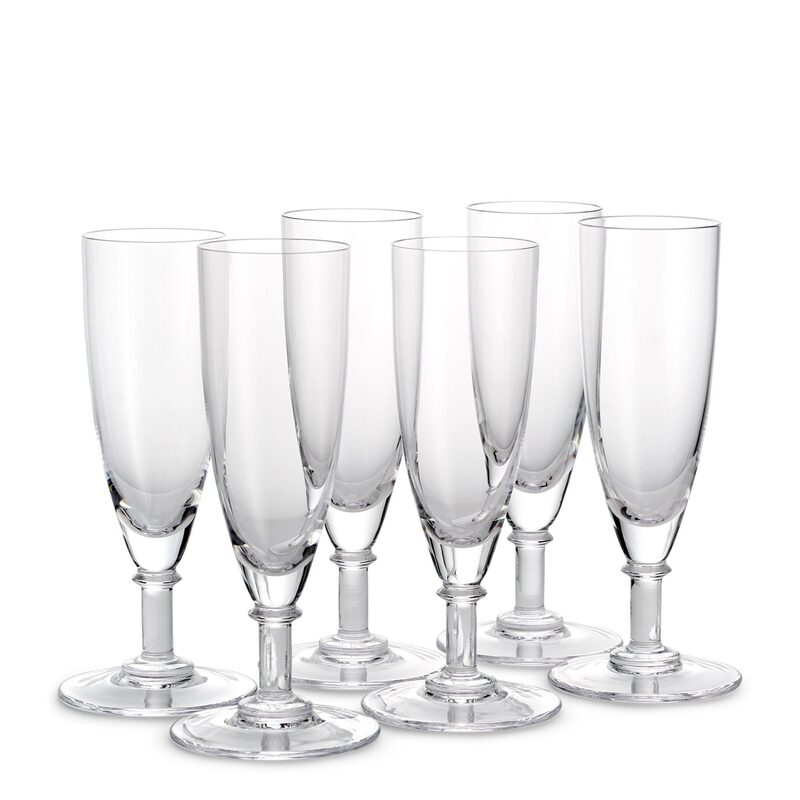 Whether for your own home or that of a fortunate recipient, this popular gift set comprises six crystal champagne flutes, in the same ‘Rummer’ style as those used in The Wolseley. Rummer glasses became popular towards the end of the 18th Century and are characterised by a capacious bowl, a short sturdy stem and a wide foot. Produced in a glass factory that has been in existence for almost 100 years and considered one of the best within Europe, each are made by hand using traditional glass blowing techniques and are delicately engraved with The Wolseley monogram on the base. Dimensions: Base diameter 7.2cm, Height 18.2cm. Capacity 160ml. Product care: Please note that this glassware is not dishwasher safe. Careful washing by hand in warm, soapy water and drying with a soft cloth is recommended. 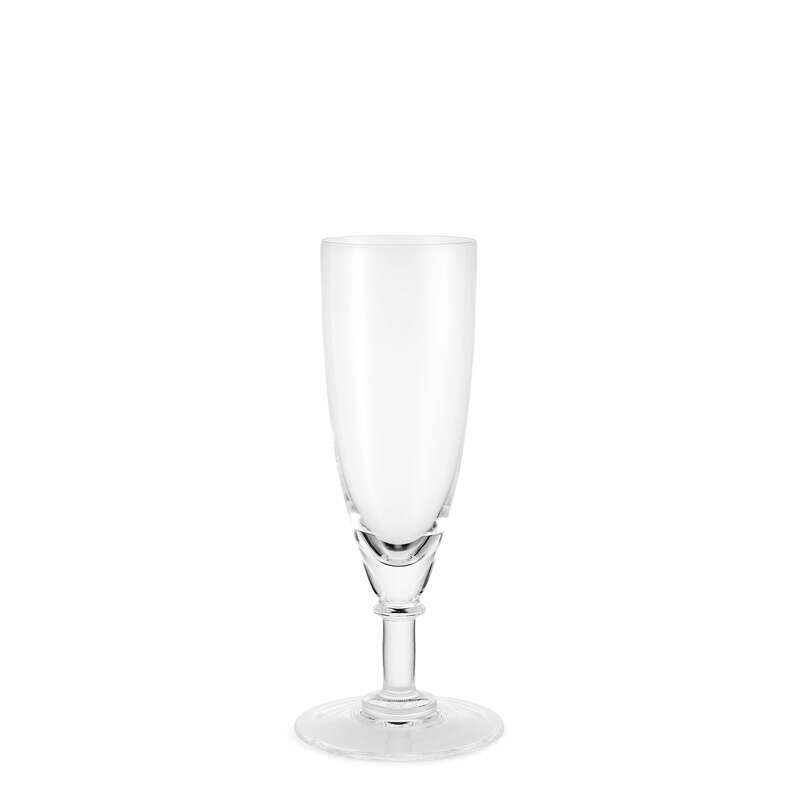 Please note that these glasses are handmade so there may be some variation in the dimensions given above.